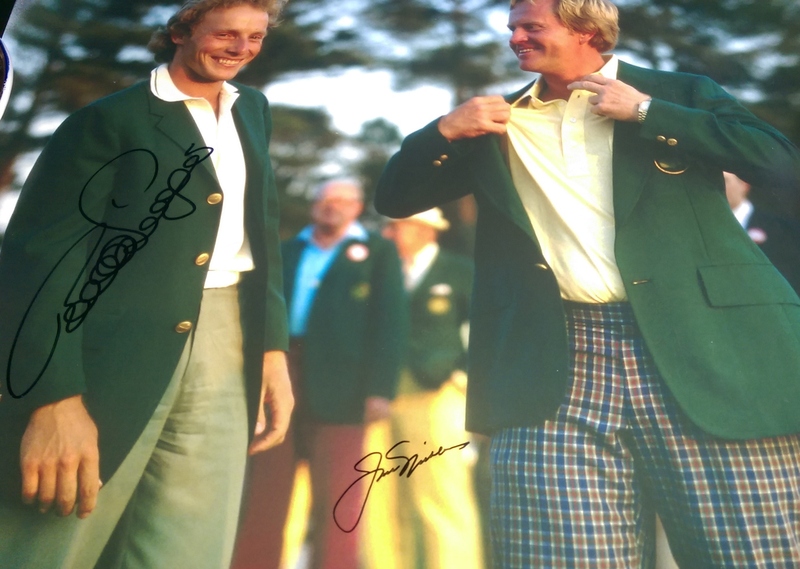 Jack Nicklaus is still the greatest golfer of all time. 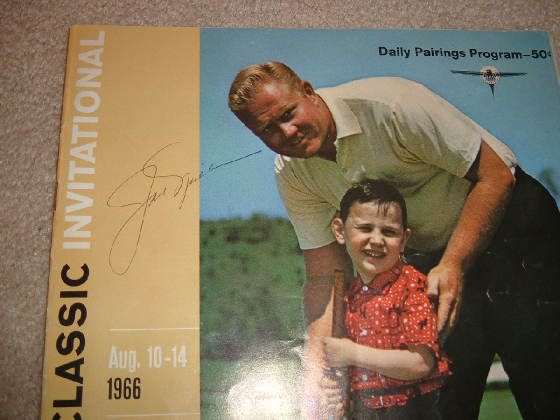 He is also usually very good about signing autographs. 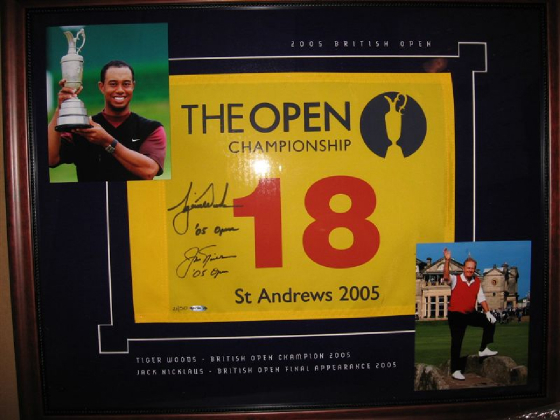 The problem is finding him as he plays very little now. 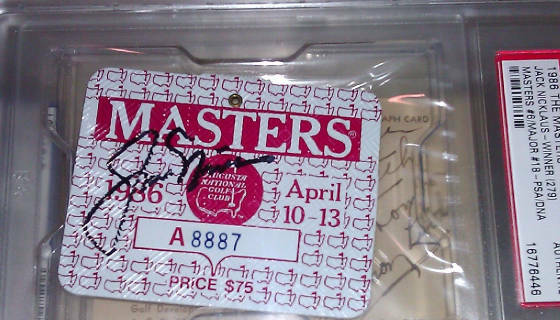 Sometimes he can get a little frustrated with autograph seekers and will only signed certain items likes tournament flags of that week and not sign Masters items. 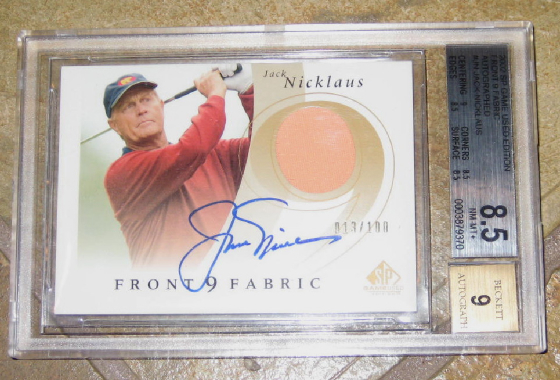 I would have to say 90-95% of the Nicklaus autographs on ebay are either autopens or forgeries. 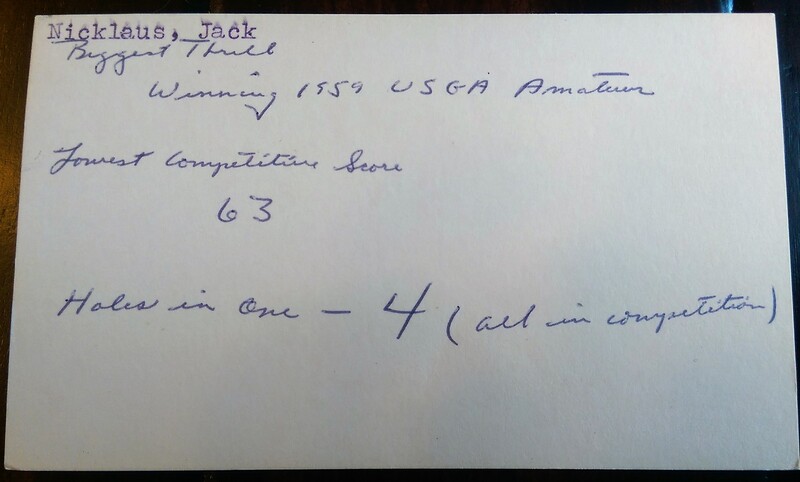 This is a really cool note written in 1961 where a young Mr. Nicklaus was asked about his greatest thrills in golf. 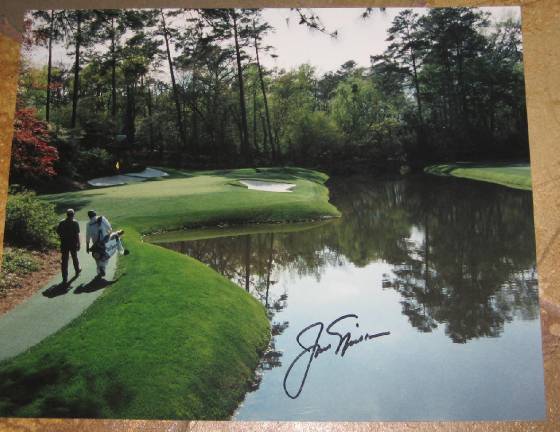 He had a lot more thrills after this point. 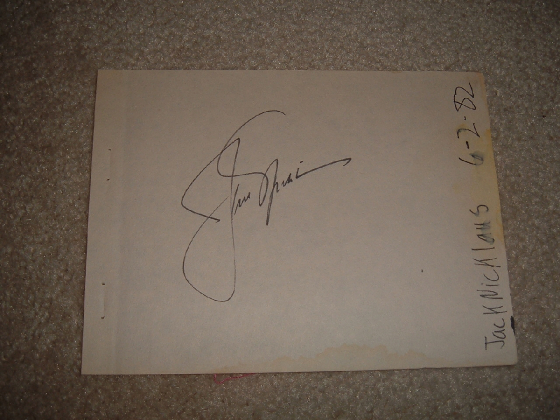 I presented this note to him and he was interested in seeing it and I asked him to sign it. 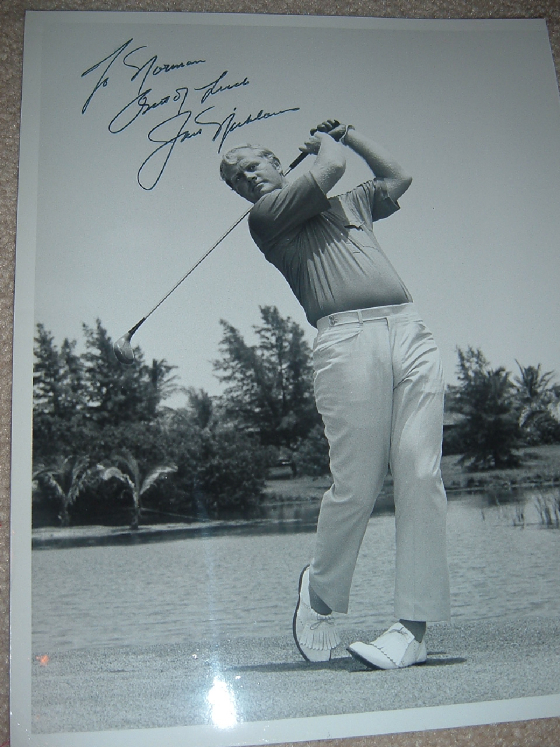 Nicklaus signed photograph from about 1970. 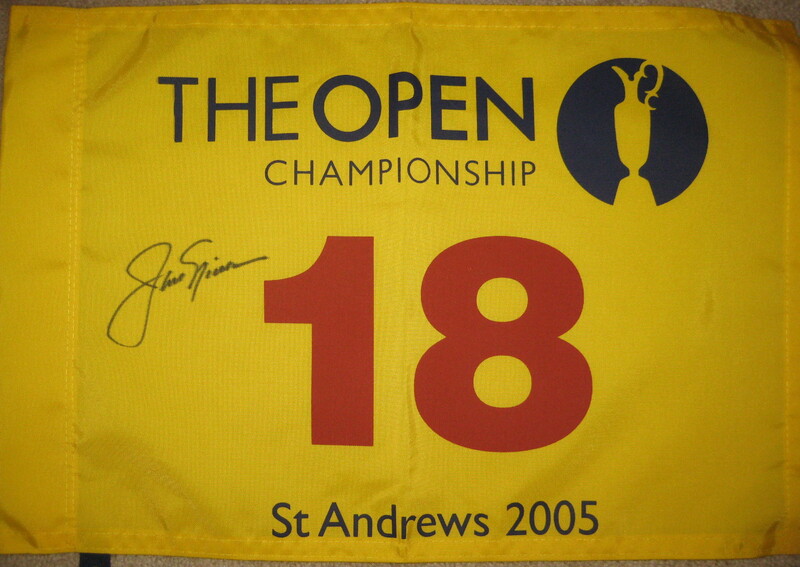 This is a answer to a request to he greatest thrill in golf so far. 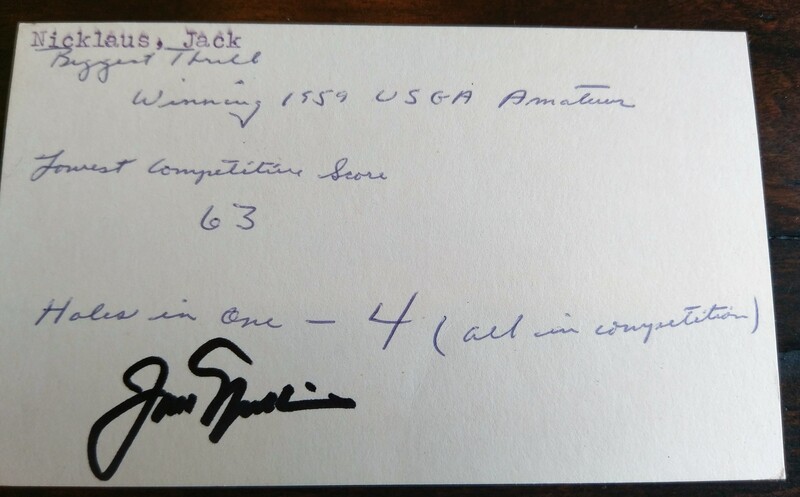 This is really cool because it was written in May 1961. 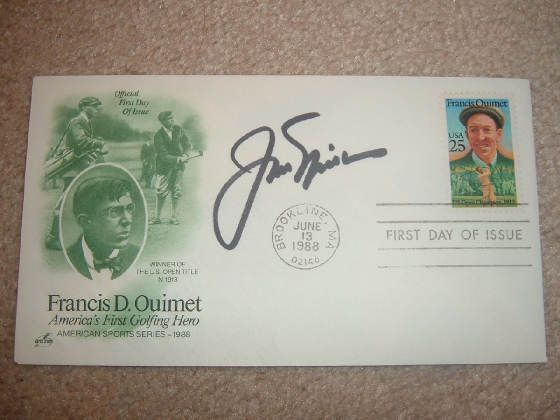 He had a lot more thrills to come! 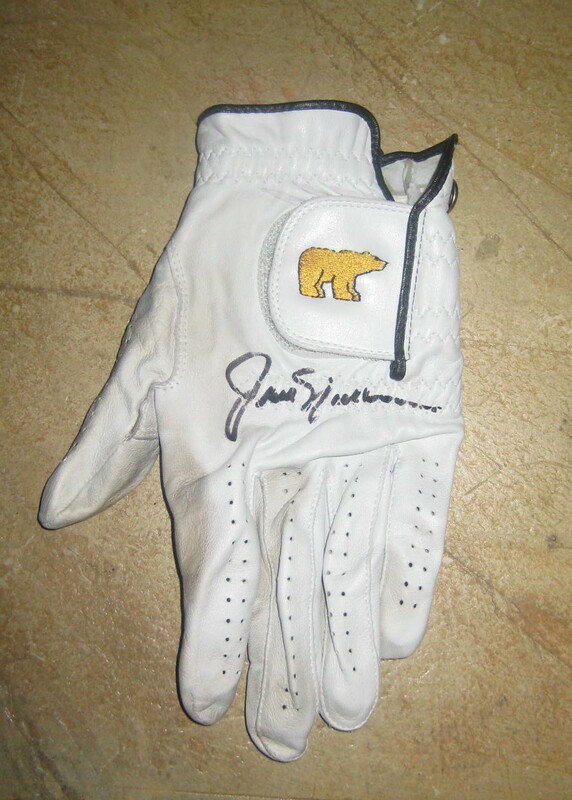 This is a signed Tournament used golf glove used during a round at the Tradition in AZ. 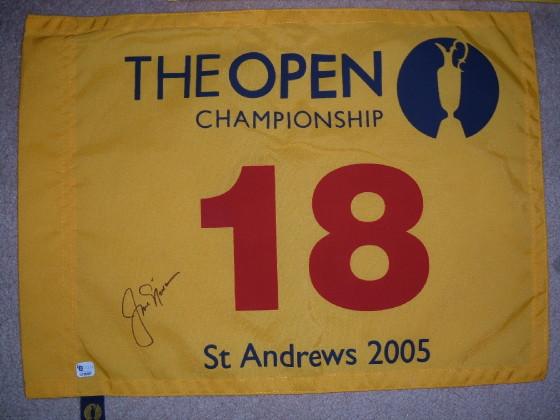 Mr. Nicklaus signed this 2005 British Open Flag in Dalton GA April 13. 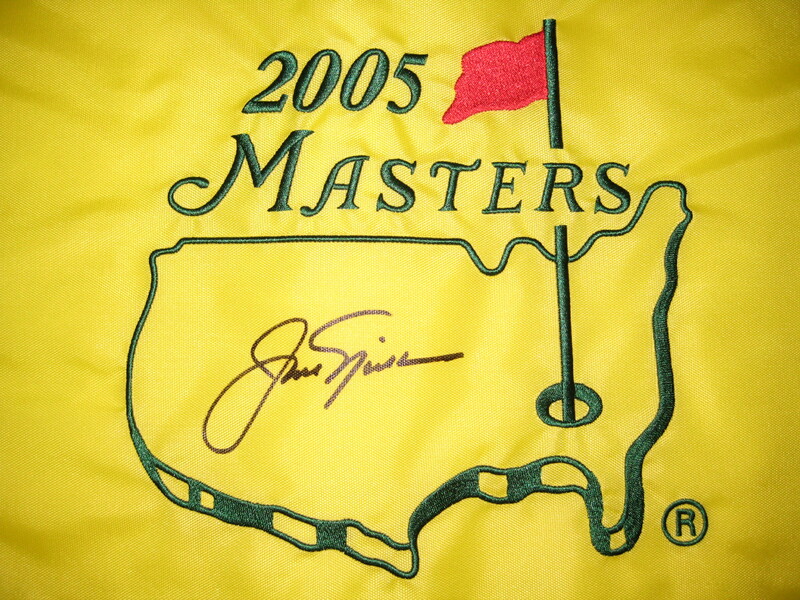 This was his final Major. 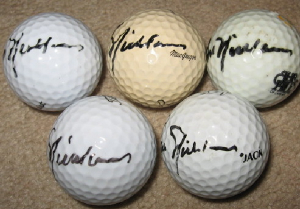 Jack Nicklaus signed golfballs Mr. Nicklaus usually does not sign golfballs. 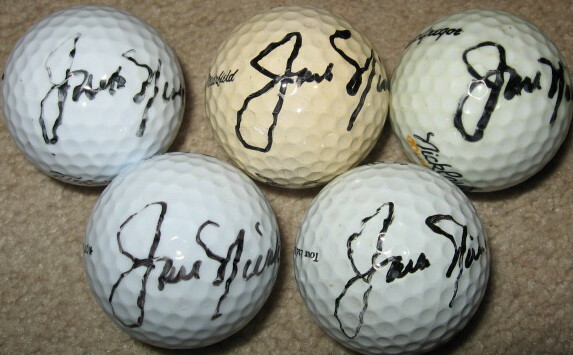 At a golf tournament Jack will only sign his personally used golfballs. 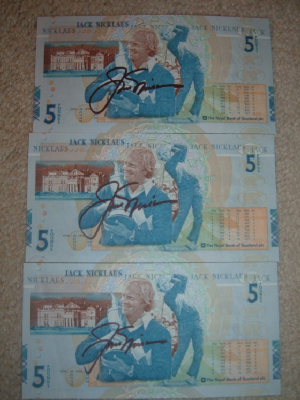 I saw Jack last week at a Charity event and he did sign a few golfballs not used by him. 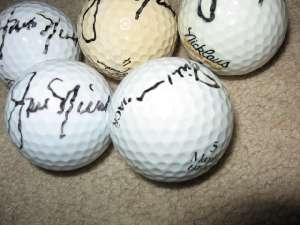 The bottom right ball is a tournament used ball and as you can see it is stamped with "JACK". 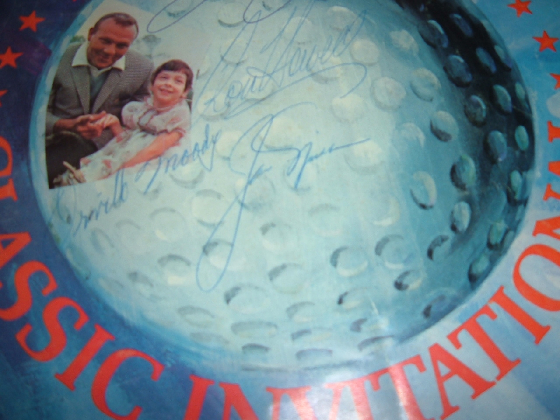 He signs golfball almost exactly the same everytime. 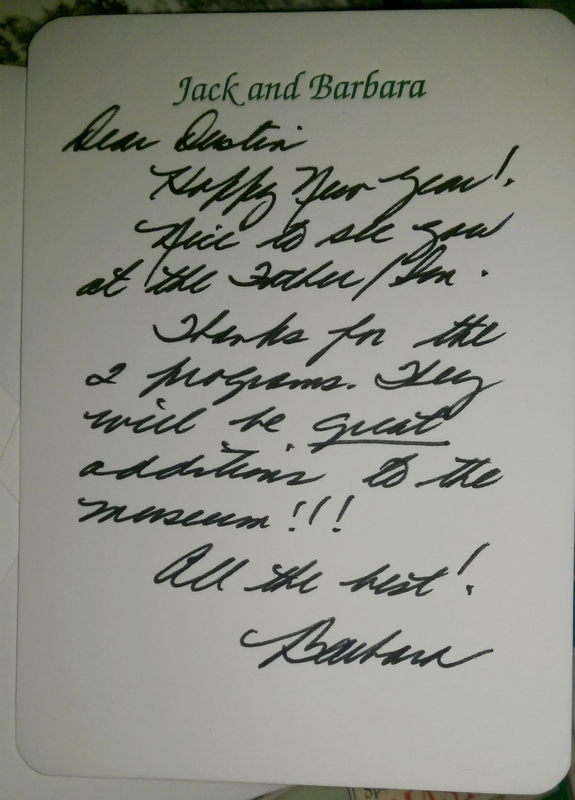 I donated a 2005 British Open gallery guard jacket to the Nicklaus Museum and this is the note I received from Mrs. Nicklaus. 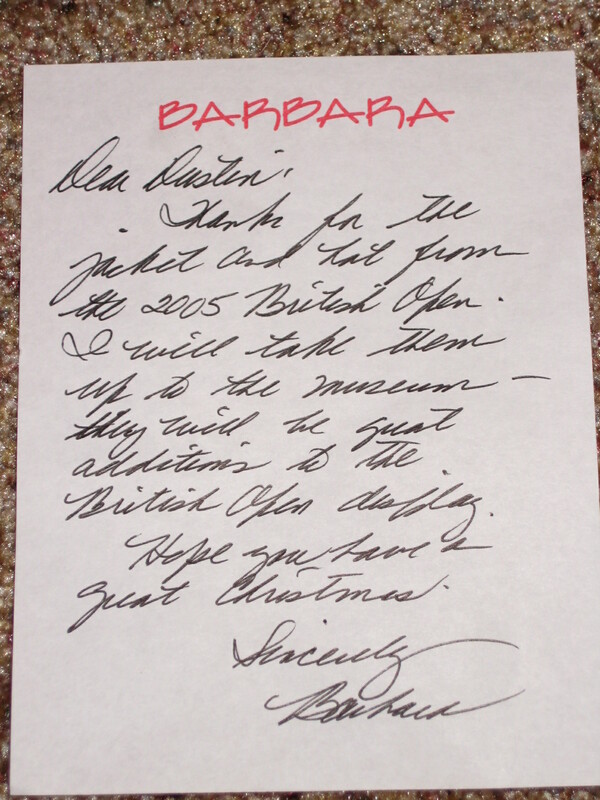 Mr. and Mrs. Nicklaus are the classiest people ever. 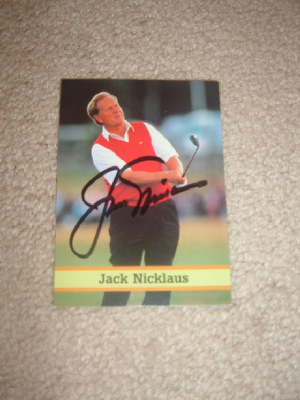 I gave Mrs. Nicklaus a few rare programs from Jack's victories and they are adding them to the Nicklaus museum. 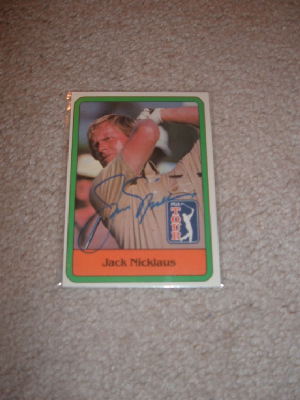 I received this very nice note from Mrs. Nicklaus.